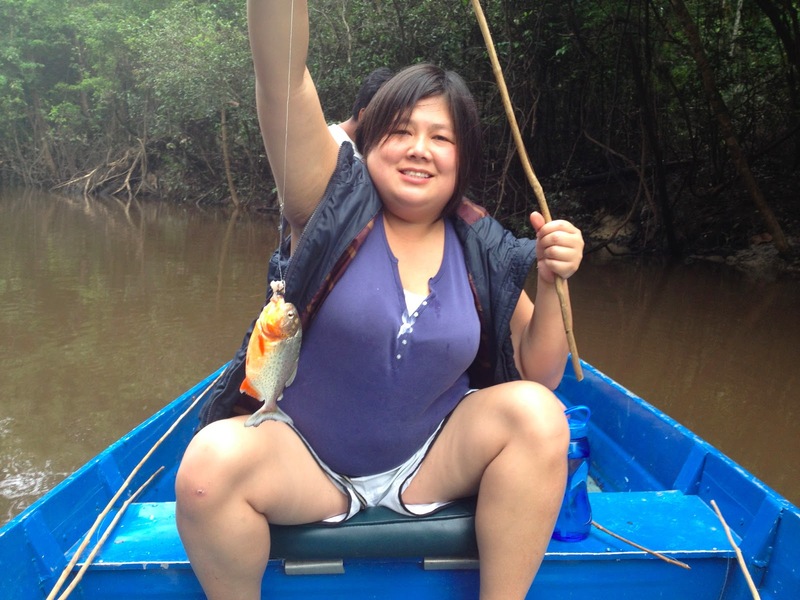 "Look at the teeth" the guide said holding the piranha we had just caught to me. We had spent the morning floating down the river in a motorized speedboat. I was experiencing an activity that was a source of food to the tens of thousands of people that made up the rain forest communities, fishing. 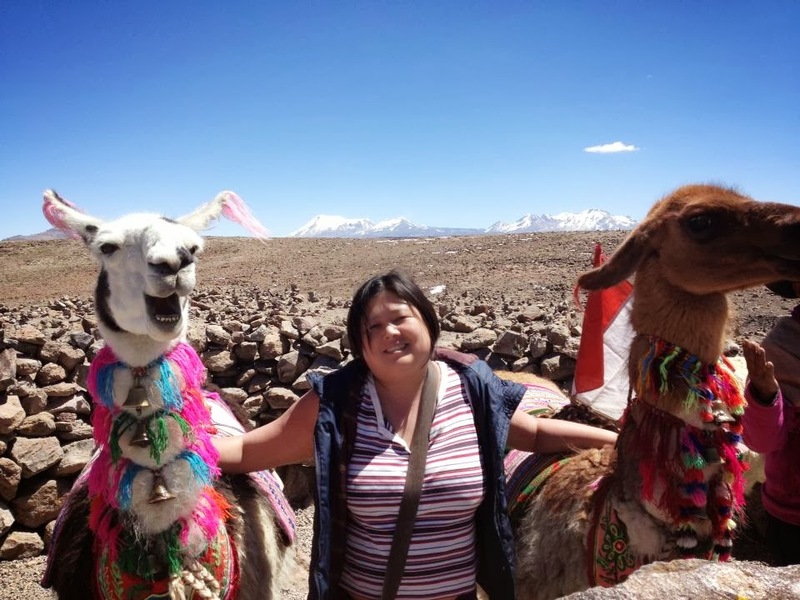 My guides had informed me that early morning is the best time for catching fish and seeing animals because that is the time that the animals are out and about searching for food. As the day goes on, they tend to head for territory with shade, decreasing chances of spotting any animals or catching any fish. Up until then, the only time I had ever seen a Piranha was on the discovery channel. But as luck would have it, not only would I have my first close encounter with a piranha but unbeknownst to me before the end of the day I would witness first hand the power of a piranha's punch. I don't know what was going through my head, maybe its because I never fished before and it didn't occur to me that the fish was dead or anywhere close to dead. As the guide held the fish out to show me the powerful jaws and teeth, curiosity overwhelmed me and I reached out my finger to feel the piranhas razor sharp teeth. The moment that the piranha felt something touch its teeth it immediately clamped down onto my tender unexpecting finger. 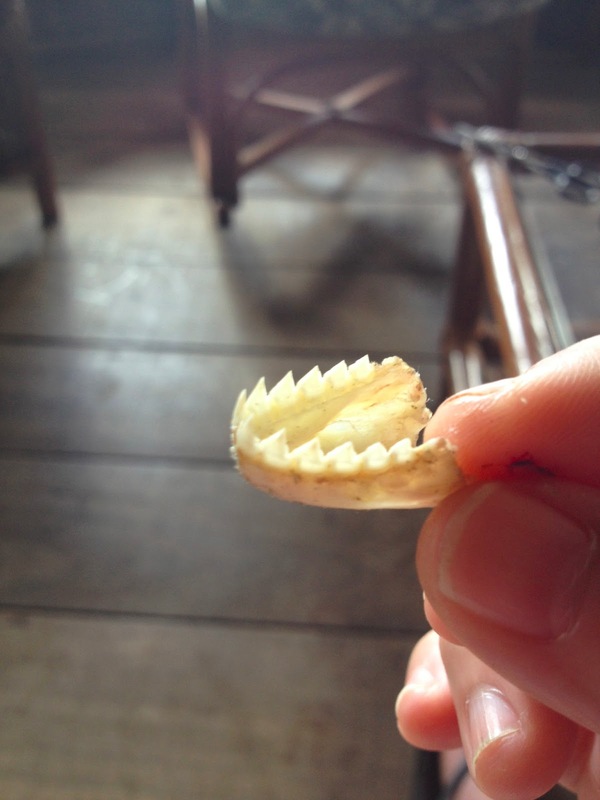 And I can honestly say that my curiosity to what the teeth of a piranha were like were more than satisfied as blood began to ooze out of the fresh wound. The guides wasted no time in throwing the piranha back into the river and getting out tissue and hand sanitizer from the first aid kit in the motorised speedboat. They didn't even flinch or panic at the site of me wounded and bleeding. It almost seemed routine to them and I soon found out that this was because piranha bites weren't uncommon. In fact, when someone is attempting to reel in a piranha that they've caught, they have a special way of getting the hook out of the mouth. One has to use your thumb and forefinger to press on each side of the cheek/jaw area at the same time to make the piranha's mouth open. They cannot stick their finger inside the mouth to remove the hook. Once the mouth is open only then can they carefully remove the hook out. 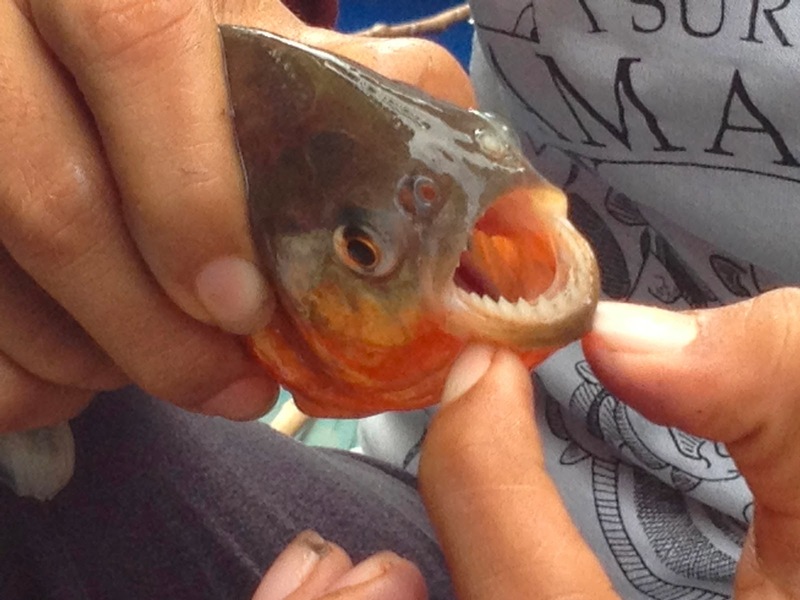 And I was told that in some cases the piranha is so incredibly aggressive that they cannot get their hand anywhere close to the mouth, the hook has to be removed with a plier. 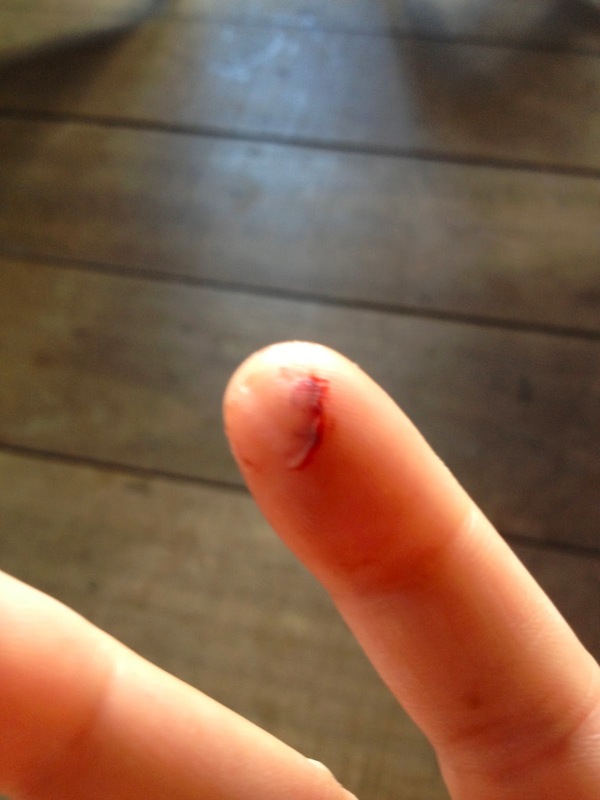 Just to demonstrate the power of a piranha bite, I'll let you know that it took about 30 mins for the bleeding to be able to slow down. We continued floating down the river catching fish without further adieu and each minute found myself learning more about the ways of the jungle. As it turns out, towards the surface smaller piranhas and deeper in the water are larger piranhas. The smaller piranhas are the ones that are intelligent because they will pick away at the bait without getting hooked. It was the piranhas down deeper that were not so intelligent and are more prone to greedily gobbling up the bait hook and all. We arrived back at the lodge with 8 fish and a 9th being a piranha. For lunch they cooked out catch and made fish soup for everyone and the piranha was handed to me fried on a plate. Having been bitten earlier by a piranha, I felt like I was getting back at it by having another piranha served to me on a plate. Revenge never tasted so sweet…..